The NCHS Literature Fair, held on Oct. 10th, 2017, in the media center, was a success again this year. The judges Suzanne Ward, Kris Ward, Meg Ashby, and Susie Rogers enjoyed every project and had a difficult time choosing the winners of the fair. Suzanne and Kris Ward both said that they loved the life and emotion that Zackery Toler put into his presentation of Lord of the Flies. Zackery Toler along with Hannah Cool, Taylor Brown, Phoebe Kiser, Amanda Ward, Caden Phipps, Quinten Jeckering, Ashley Nicholas, Cameron Thomas, Trey Comer, Stephen Hayslette, Riley Butcher, Alex Rose, Mylissa Johnson, Madalynne Blankenship, and Seth Strickland all received 1st place in the fair. Grayce Rose, Josie Chapman, Olivia Carpenter, Galilea Villesenor, Rachel LeRose, Rebecca O’Dell, Adrienne Bounds and Maggie Gadomski received 2nd place. 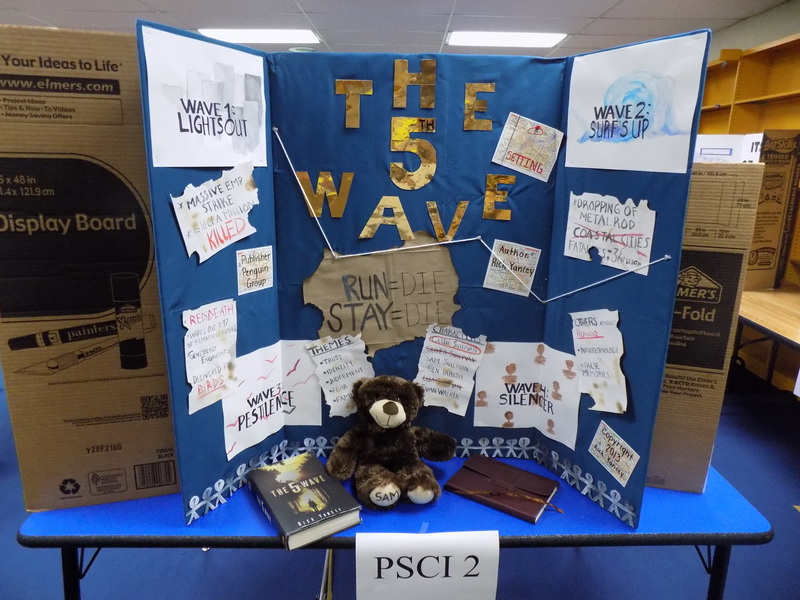 Every project that received 1st had the opportunity to move on to the County Literature Fair on Monday, October 16, 2017. The first place winners of the county fair will move on to the WV Regional Literature Fair at Glenville State College on November 4th, 2017.